A report we featured a short while ago, which alluded to cloud-focused, mobile versions of both TextEdit and Preview, indicated that Apple is planning on making some big changes to the way devices interact with iOS 8. Following on from those earlier tidbits, a newly-leaked screenshot on China’s Sina Weibo appears to further substantiate the claims that the two apps are in development, showing off their icons along with a further Healthbook app and a Tips icon. 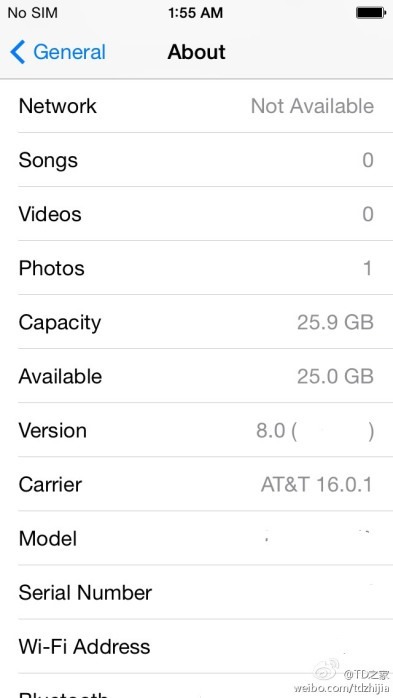 The screenshot showcases what appears to be an early leak of an iOS 8.0 beta, with the build number having naturally been obscured. Since it has been plucked from a social network, it’s impossible to verify its authenticity, but it does tie in nicely with the revelations made earlier by the guys over at 9to5Mac. 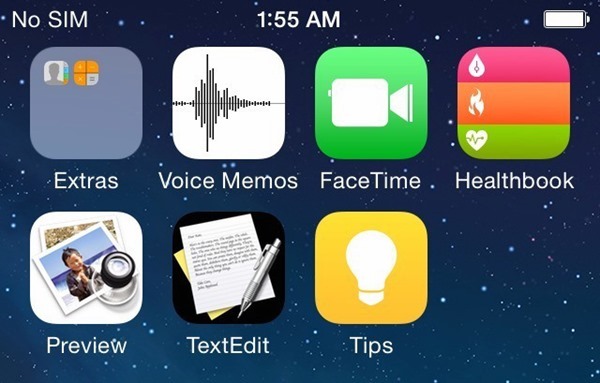 As well as the TextEdit and Preview apps for iOS, which are discussed in slightly more detail in the earlier article, the Healthbook app sighting also seems to back up previous suggestions that the upcoming version of Apple’s software would be heavily focused on the growing market for health-related apps and devices. Whether the presence of Healthbook should be taken as indicative of the existence of the so-called Apple ‘iWatch’ is open to interpretation, but with Tim Cook having already hinted that his company has big plans for new product categories in 2014, Healthbook could well prove a key component. Beside the icons, we don’t have a great deal of information on the apps themselves, although in the case of Healthbook, we have seen one or two interesting concepts in recent times, such as this neat effort that sports a card-like user interface. As far as the Tips icon is concerned, we’re unsure as to precisely what Apple has planned in its regard, although it will likely just serve as the go-to source of all information and how-tos for getting the most out of the iOS experience. 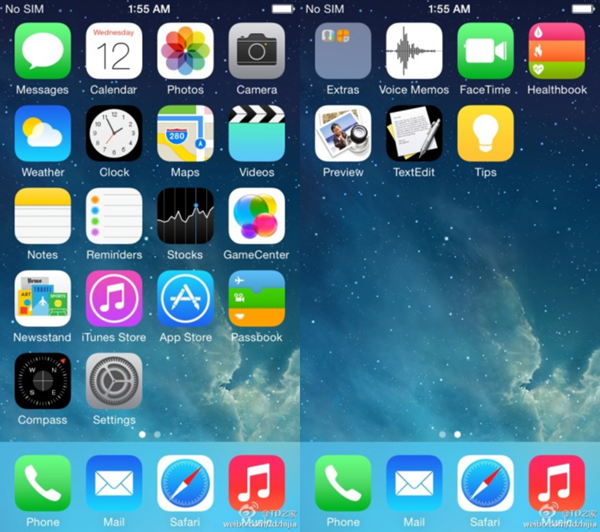 iOS 7 presented a major shift in the overall look of Apple’s mobile OS, but with deep cloud integration and stronger ties with OS X, iOS 8 could represent a significant shift in both functionality and infrastructure. We’ll keep you guys posted on any further updates to this unfolding of iOS 8, so stay tuned.